Check out this drone video of the longest bridge in the Philippines, compliments of contributor Omell. The San Juanico Bridge runs between Samar and Leyte, two of the largest islands within the Central Visayan group which makes up the central part of the country. Completed in 1973, the truss bridge has a total length of almost 2.2k meters (around 7.1k ft.). It's part of a road system known as the Pan Philippines Highway, a system of roads and ferries which connects most of the country's largest islands. 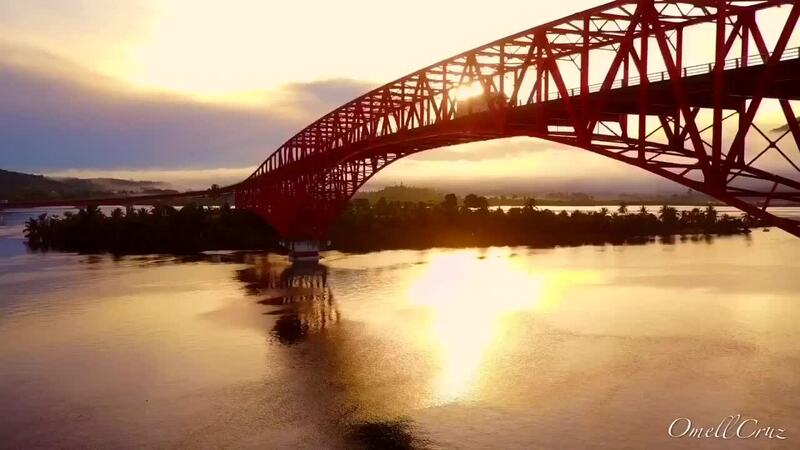 Description: A cinematic drone shot of the longest bridge in the Philippines. The bridge's shape was formed in a letter L and S, corresponding to the first letter of the 2 island's/province's name being connected by this bridge. L for Leyte and S for Samar.